After a year of walking all 78 of Denver’s neighborhoods, we finally came to the last one, University. Granted, it wasn’t quite alphabetical in the list, but it was fun to end at where Chipotle started! 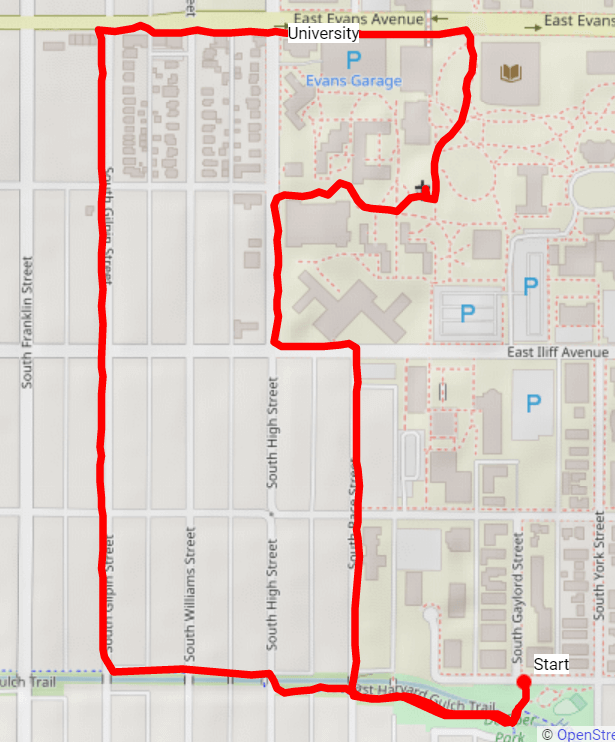 In only two miles, we covered most of the neighborhood, including its star attraction, University of Denver. The University neighborhood sits between Downing and University, I25 and Dartmouth. Where it used to be way out of town and away from the rough and tumble influence of Denver, it’s now a “college town” where most of the residents are somehow engaged with the University. 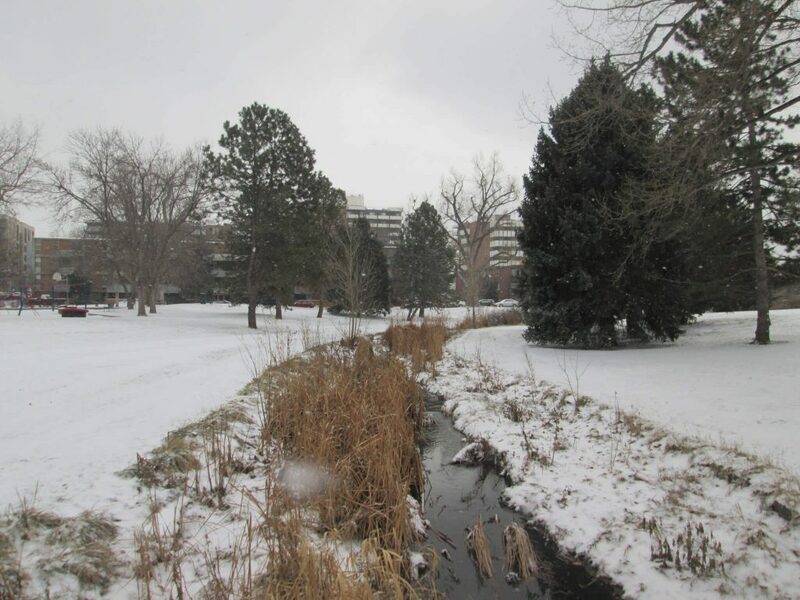 The University of Denver, still legally called Colorado Seminary, invites about 11000 students a year, both undergraduate and graduate, to study. Originally started in downtown Denver in 1864 and named after then territory governor John Evans, the school relocated to this area to soon afterward. Many of the buildings on campus date from the late 1890s. Of interest is the small, centrally located Evans Chapel. 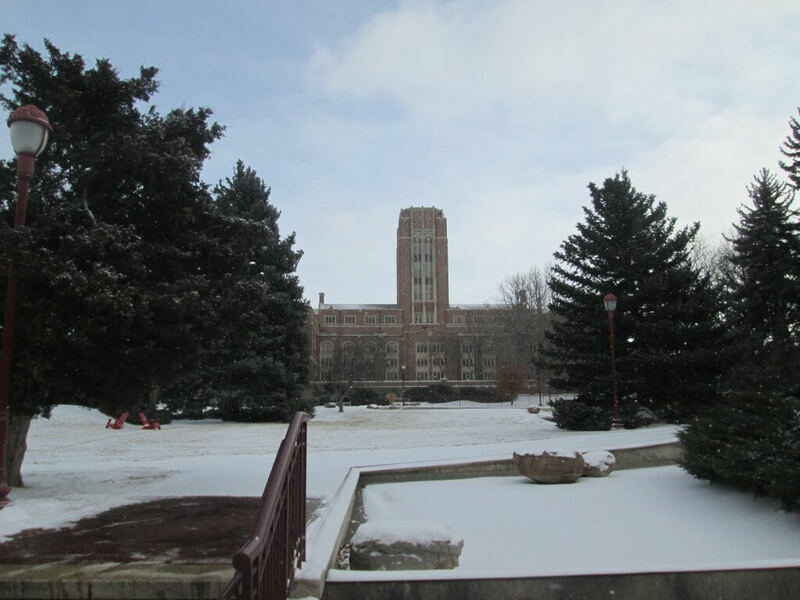 This 1870s-vintage, originally located in downtown Denver, was moved to the DU campus in the early 1960s. 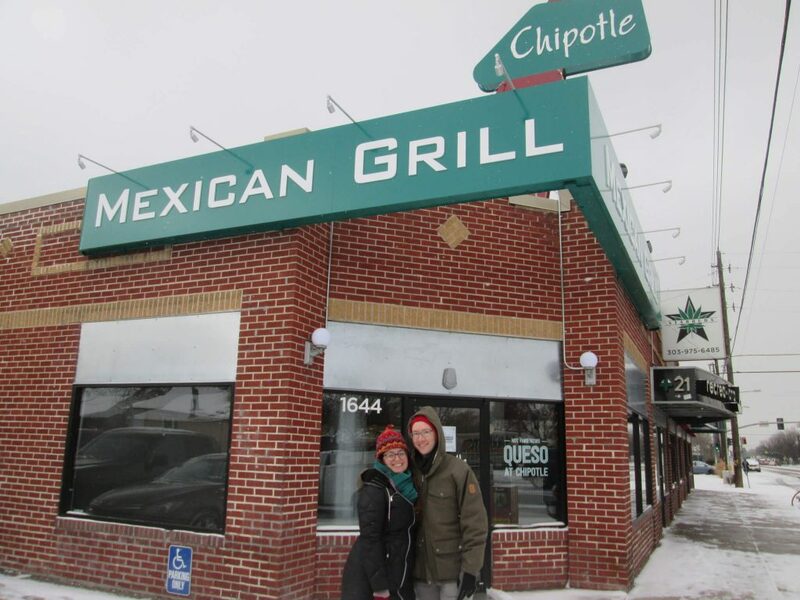 Around the corner from the campus on Evans Blvd sits the original Chipotle. Started by Steve Ellis, who had graduated from the Culinary Institute of America, he originally thought he’d open a fine dining restaurant. But burritos prevailed, McDonalds invested (then divested), and the chain grew to become one of America’s favorite fast fresh burrito makers. Be sure to stop in and marvel at its size (small!). 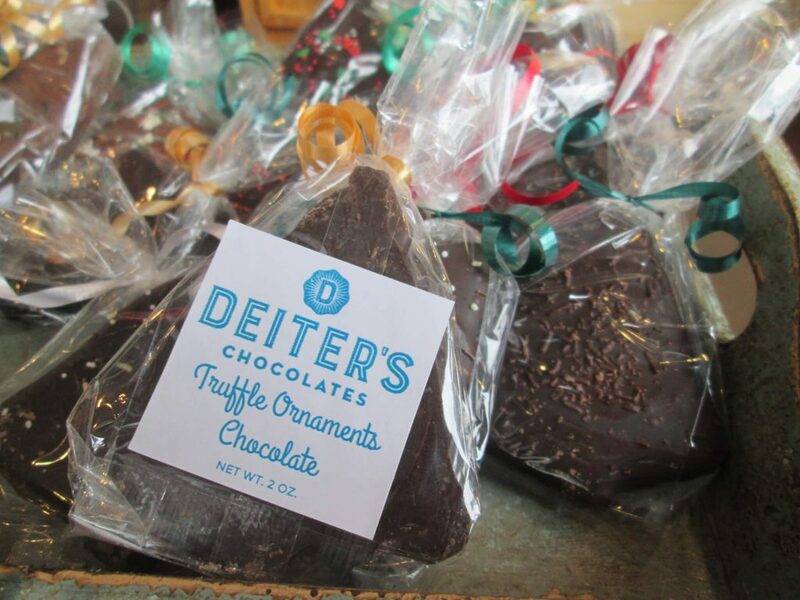 After checking out Denver’s famous fast fresh franchise, continue on the block to Deiter’s, the local’s favorite chocolate store. Be sure to try the dark chocolate turtle with pecans, a creamy deliciousness you won’t want to pass. Thus, the infamous Denver Neighborhoods project came to an end. Do drop me a line and let me know what your favorite post or walk was and let me know which neighborhood you’re walking next. What’s next for me? Stay tuned. Start at 2199 E Harvard Ave. Look to your south across the small park and you’ll see the Harvard Gulch Trail. Jump on trail and walk west. At S Gilpin St, exit the trail to the north. Follow Gilpin to to E Evans Ave, take a right. Enjoy the original Chipotle’s on the corner of Gilpin and Evans. At Evans, take a right, noticing the nice murals on the building walls. Continue on Evans, past Deiter’s chocolate shop, taking a right after the Dricoll Center South, meandering up through the campus toward its center. 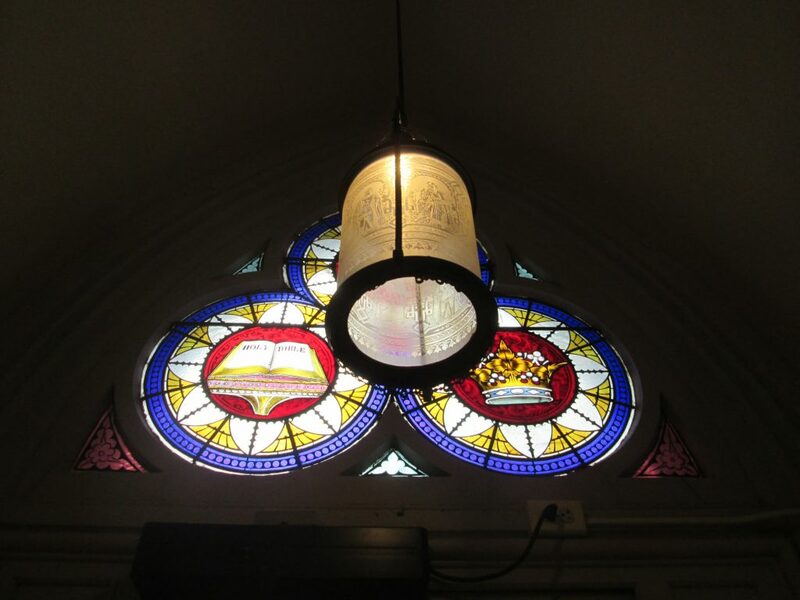 If the chapel is open, enter and have a look inside. Exit the chapel to the west, continuing your meander through campus. Reach S High St. Take a right. Cross over the park onto Harvard Gulch, taking it to the left (east) until you return back to your start.